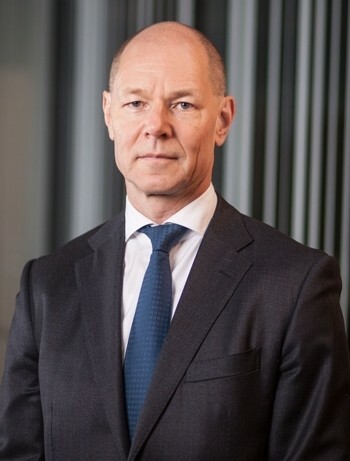 In March 2015, President and CEO Harri-Pekka Kaukonen of Sanoma Oyj was elected Board Member and Vice Chairman of the Board of the textile service company Lindström. “Our company will benefit from Kaukonen’s experience in international business and his strong strategic competence,” says Chairman of the Board Jukka Roiha. Kaukonen is the first Vice Chairman of the Board in the company’s history. Harri-Pekka Kaukonen has been President and CEO of Sanoma Oyj since 2011. Prior to that, he worked in several management positions at Fazer from 2003, last as Executive Vice President of Fazer Group. In 1992–2003, Kaukonen worked at McKinsey, where he was a partner from 2000 to 2003. In addition to being a Member of the Board of Lindström, Kaukonen is also Deputy Chairman of the Board of Evli Bank, a Member of the ICC Finland Delegation and a Member of the Supervisory Board of Ilmarinen. “Lindström is a well-managed, boldly international family business with a strong, customer-oriented service concept. It is wonderful to get to support this company in implementing its next growth leap and utilising the opportunities brought by digitalisation,” says Harri-Pekka Kaukonen. Concurrently with Kaukonen, Sari Kousa also started as a Member of the Board of Lindström as a representative of the owning family. The Board of Lindström consists of Chairman of the Board Jukka Roiha, Harri-Pekka Kaukonen, Sari Kousa, Anne Korkiakoski, Ahmet Esen, Naresh Gupta and Max Rautiainen. Previous Members of the Board, Hanna Roiha and Anssi Soila, are leaving.